Excelencia in Education accelerates Latino student success, enhancing our workforce, leadership, and economy. Stay up to date on Latinos: Aspiring applying, and choosing college. These factsheets address college access. Learn more on Excelencia's approach to mobilize and support institutions SERVING Hispanic students and the Seal of Excelencia. Save the date and join us at Excelencia in Education's Quinceañera, our fifteen year anniversary celebration. We celebrate programs accelerating Latino student success and bring attention to these programs for those committed to doing more for Latino students. Examples of Excelencia is the only national effort to identify and promote evidence-based practices that help accelerate Latino student success in higher education. Through a year-long process, Excelencia identifies, reviews, and promotes programs at colleges and universities as well as community-based organizations. The Growing What Works database is an online and searchable resource for practitioners, institutional leaders, funders, and policymakers interested in evidence-base practices that accelerate Latino student success in higher education. Our research on Latinos students in education provides an understanding of Latinos' strength, growth, and opportunities for increased success. There's power in numbers. 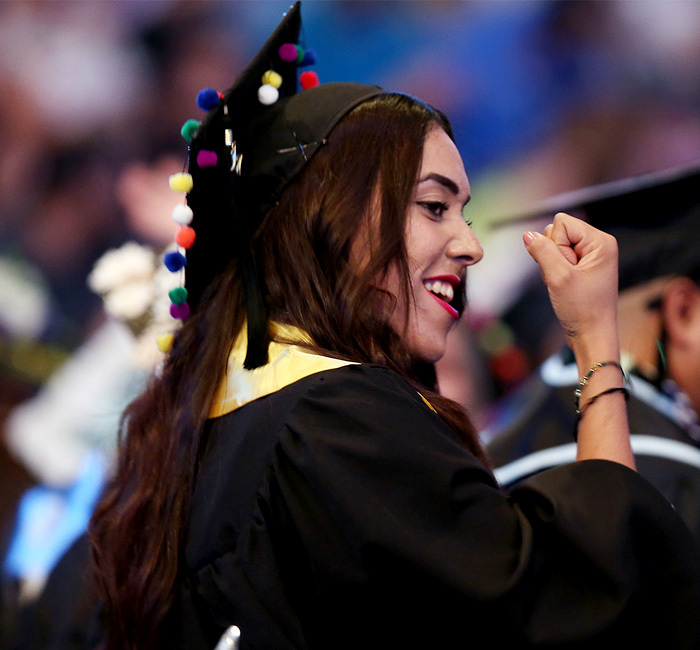 Let's work together to SERVE Latinos in higher education and meet our shared mission.